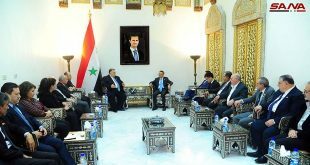 Damascus, SANA- Speaker of the People’s Assembly Hammoudeh Sabbagh affirmed the importance to develop bilateral relations between Syria and Democratic People’s Republic of Korea (DPRK) in all fields, especially in the parliamentary field. 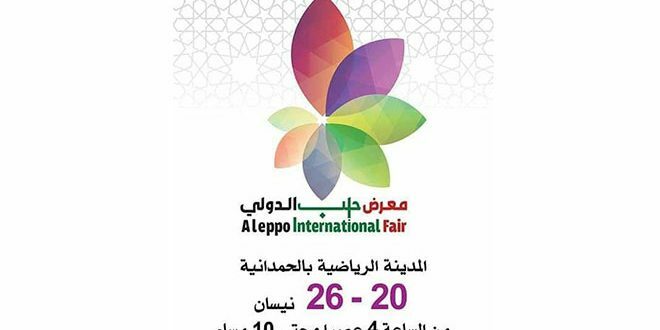 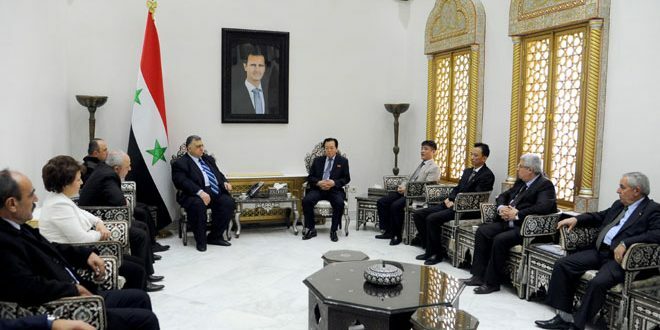 Sabbagh’s remarks came during a meeting with Ambassador of the DPRK in Damascus Jang Myong Ho on Monday. 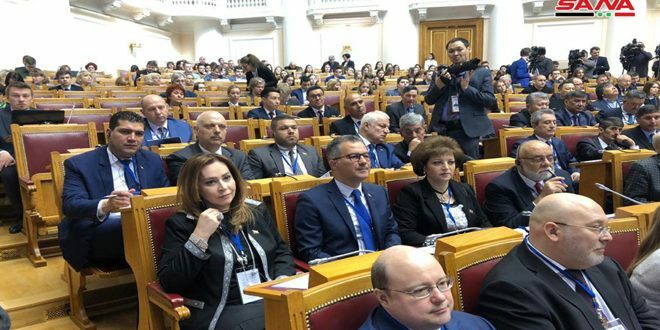 The Speaker pointed out to the deep-rooted friendly relations binding the two countries, saluting the DPRK’s leadership and people for their positions towards Syria. 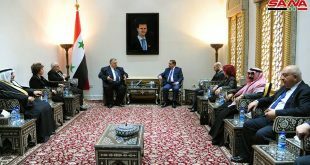 He stressed that the steadfastness of the Syrian people, army, and leadership has been the main factor to bringing down all the conspiracies and plots against Syria. 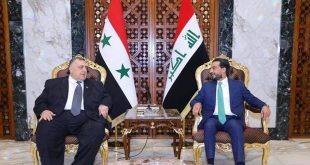 For his part, Jang Myong affirmed the need to develop the parliamentary relations between the two countries, adding that the bilateral relations are based on solid and deep-rooted foundations of friendship and cooperation. 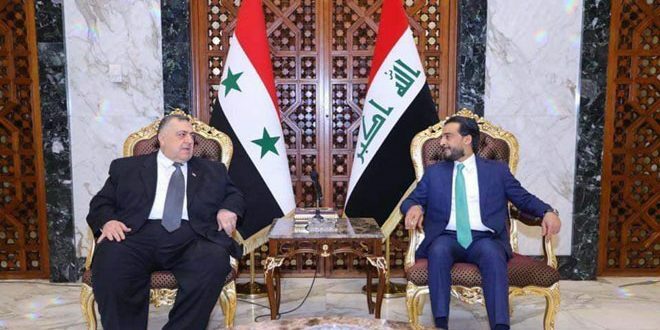 The Ambassador expressed happiness over the victories achieved by the Syrian Arab Army in confronting the terrorist organizations, hoping that the army will achieve further victories against terrorism and establish security and peace. 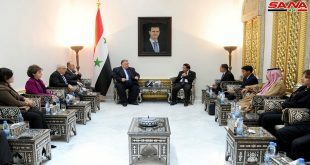 In a statement to journalists, Jang Myong that the Syrian Arab Army has taught the Zionist occupation a harsh lesson when the Syrian air defenses shot down an Israeli F-16 jet which had attacked the Syrian territory, stressing that Syria has the right to defend itself by taking all measures to protect its sovereignty.